I am an online writer and blogger living in United States. 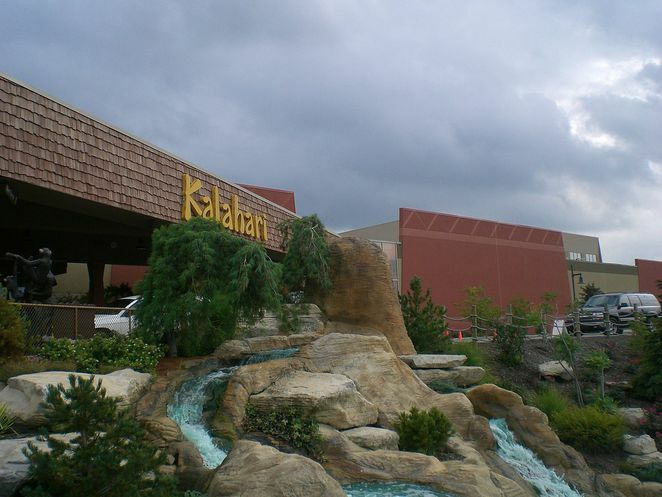 Welcome to Kalahari Resorts in Sandusky, Ohio. It changes the nature of vacations by delivering an exciting new type of destination. It combines the luxury and amenities you've come to expect from an upscale resort, with the fun and excitement of one of the largest indoor water parks in Ohio, United States. You will check in at the front desk and from there a journey begins. Inside this authentic African-themed resort, there are 884 rooms that surround the 77,000 square foot outdoor waterpark, with hot tubs, sand volleyball, courts, waterfalls, palm trees and activity pools. The large play area for the children includes multiple water slides and a special area just for the younger ones. When it gets a little too cold or a little too hot, step into the 170 3,000 square foot indoor water park which is open year-round, relaxing your own private. Enjoy the 12,000 square foot wave pool, take a ride down the lazy river or master 50,000 gallons of water each minute on one of the two low riders. Dry off a bit and head to the big game room arcade which features a variety of entertainment for all ages, including basketball, hoops, bowling first person, shooting games and one of the largest crane machines you have ever seen. Try your hand at Madagascar mini-golf featuring nine fun and exciting holes of family fun or show off your craft baking skills inside pottery pizzazz. Plenty of options await you for breakfast lunch and dinner in between, whether you have a taste for an all-you-can-eat buffet, a delicious pepperoni pizza or some great dining entertainment inside Kahuna Ville. For the sweet taste in your group, be sure and swing by candy for some fabulous caramel apples and some of the best ice cream in Ohio. Safari adventures gives you a once-in-a-lifetime chance to experience Africa in person, as your children enjoy pony rides, camel rides and even a chance to feed giraffes, Feel the need to be pampered? Look no further than Spa Kalahari, where you can relax and rejuvenate your mind body and spirit with a variety of treatments in one of the most luxurious resorts bars in Ohio. Shopping areas surround you with unique gifts, from stuffed animals for the kids, shirts to remember your experience or even the little things you might have forgotten to pack. A huge convention center offers one of the most unique places to hold your next event, whether you're inviting 10 people or a few thousand. Leaving this resort, never crosses your mind as for the first time, you truly had everything under one roof. Whether you're looking to cool off and have the best water-filled experience of your life, relax by the pool and soak up some rays or have your picture taken with a camera, Kalahari has something for you. It is a resort truly like no other which without a doubt goes beyond expectations.